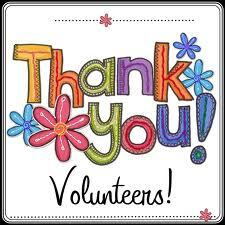 Thank you for your interest in volunteering. All volunteers at Walton Elementary School during instructional time must have their paperwork on file at the school office. This rule was implemented six years ago to ensure the safety of our children, so please don't let the process deter you. If you would like to volunteer, you need to fill in a form, stating your personal data and contact information and have a criminal record check done. You can fill in and submit the School Volunteer Form on-line by selecting the button on the right. Note that this form must be completed each school year. To obtain a criminal record check free of charge, please pick up a letter from the school office, stating you need the check done for volunteering at this school. Then take the letter to the RCMP, get your criminal record check done and bring it back to the school office. The criminal record check is good for five years and can be transferred to other schools. If you are in doubt whether yours is still valid, please contact the Walton school office to check. Don't forget to always sign in at the school office first when you come in for your volunteer event.